Lt. Jamie Graff, an investigator with the Kaukauna Police Department. KAUKAUNA — Justin Johnson was crossing the street with the walk light on when he was struck and killed by a school bus, Kaukauna Police revealed in a news conference today. 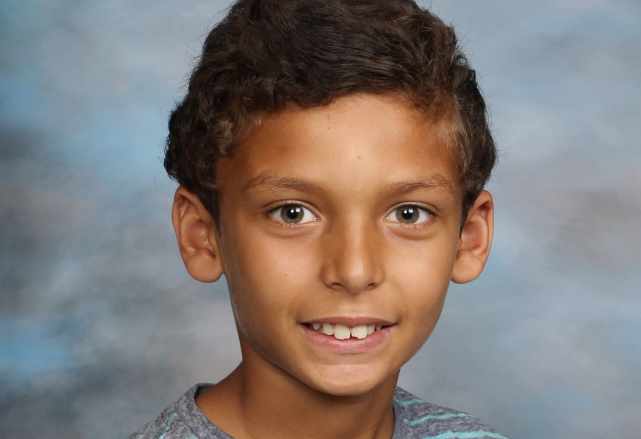 Johnson, a 12-year-old seventh grader died Sept. 6, 2016 while walking home after the first day of the school year. 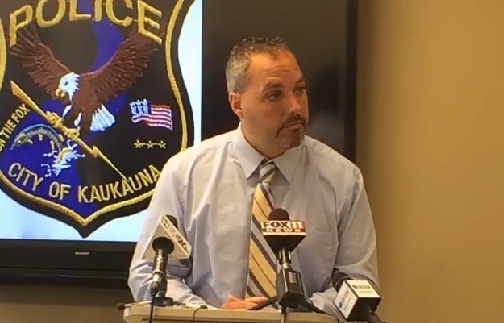 Kaukauna police released latest information from their investigation during a news conference today, Sept. 14, 2016. After speaking to a dozen witnesses, investigators say Johnson pressed the walk button and when the light turned green and the walk signal came on, he proceeded into the intersection, according to Lt. Jamie Graff, an investigator with the Kaukauna Police Department. At the same time a school bus driven by Anthony Ritacco, 61, also was heading south on Crooks Avenue and proceeded into the intersection and waited for oncoming traffic to pass before turning left onto Second Street. Ritacco, who has more than 30 years of bus-driving experience, told investigators he heard something but didn’t know what it was. He thought it might have been his antennae, Graff said. “Mr. Ritacco is obviously very devastated as to what happened,” Graff said. Ritacco proceeded on to make several more stops before someone flagged him down to alert him that he may have been in an accident. At the same time, Graff said, witnesses rushed to help Johnson. Officers arrived on scene attempted life saving measures on Johnson, Graff said. After discussion with the Outagamie County District Attorney’s office, Graff said officials have decided to wait to see results of the toxicology reports before deciding if charges were warranted. Graff said there was no indication of recklessness or criminal intent. Test results could take several weeks. Absent a positive toxicology test, Graff said it is likely only traffic citations will be issued. Graff also said he has talked to Johnson’s family and they wanted to express their sincere gratitude to the Kaukauna community along with other communities in the Fox Cities that gave them support and prayed for their family and helped them through the very difficult time. They also made a point to thank those citizens who unselfishly stopped to try to render aid to Johnson. “The accident that took place on 09/06/16 was a tragic accident, our hearts go out to the family of the student. In the 78-year history of Kobussen bus we have not had a tragic accident like this one. We have received a great deal of public and school district support for our bus drivers. We will continue working with school bus drivers, the city and the school district to maximize safety. Since the accident, city and school officials have worked to address traffic concerns in and around the intersection where Johnson died. A left turn arrow has been added to the stop light for traffic turning from Crooks Avenue to Second Street. The city lowered the speed limit to 15 mph and added speed bumps in the alley that cuts through Hydro Park. Expera Specialty Solutions, 600 Thilmany Road, adjusted its shift hours to avoid high traffic times around the school. The morning shift will start at 6:30 a.m. and end at 2:30 p.m.
A crossing guard will be added to the intersection of Crooks Avenue and Second Street. As for the memorial of flowers, candles and balloons that has grown at the corner, Graff says he is talking to the family about how to proceed, however it will remain for now.